Bright Red Large LED Glows when you're talking! Everybody hates it when someone walks up and starts talking to them while they're on the phone, but how do you know they're on the phone? 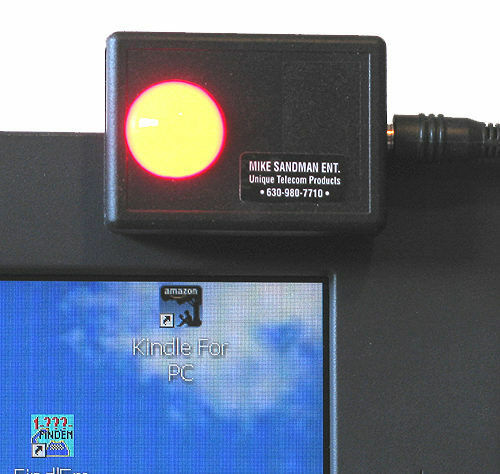 Our Headset In-Use Indicator combines our In-Line Amplifier with an In-Use Light to let everybody know when someone is on their phone so they aren't disturbed. 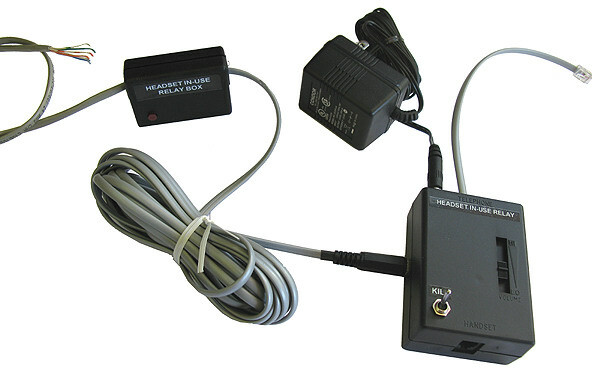 Amplifier / Control Box with Volume Control plugs in-series with the handset or a or a headset with an amplifier. 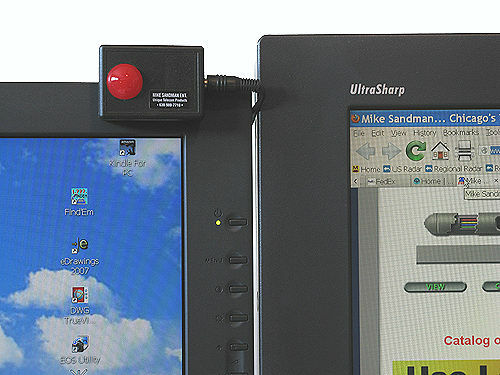 Bright Red Large LED is plugged into the base by a 12' 3.5mm cord (included). Know when your co-workers are on the phone! Use on a Cubical, on Top of a Monitor or ??? 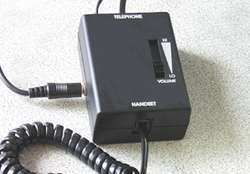 NOTE: The Headset In-Use Indicator only works with a handset or headset with modular handset type plugs. 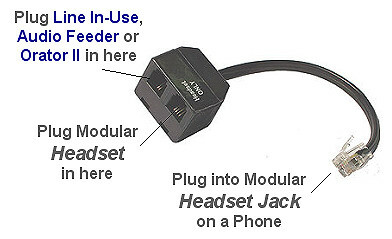 It won't work on Cordless or Cellular type phones with a 3.5mm or 2.5mm jack.